Now for the first time, the selected artist of the 3rd Ward Open Call will get to show his or her work in a solo presentation at Art Taipei AND a solo show in New York City. 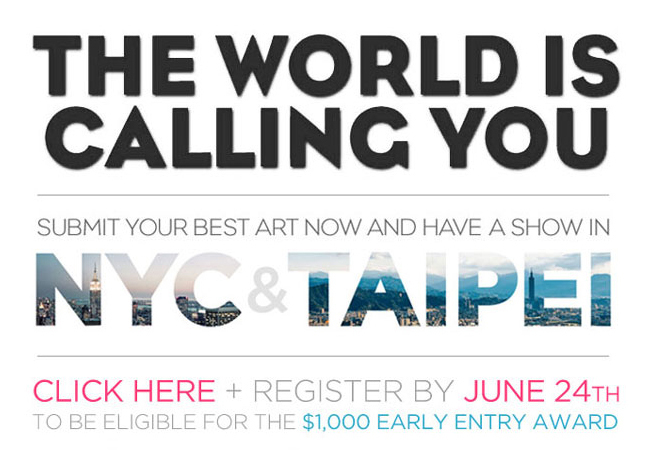 Introduce your artwork to the world’s most vital community of international art world players, including artists, collectors, curators, gallerists, and critics from both sides of the globe. Register today for the $1,000 Early Entry Award. Your deadline is THIS FRIDAY June 24th. AND a $5,000 Cash Grant!